We tend to think of grieving as an emotional experience, and it is — fraught with intense sadness, profound loss, and psychological pain. But grief has a physical side that sets us up for a number of health risks. 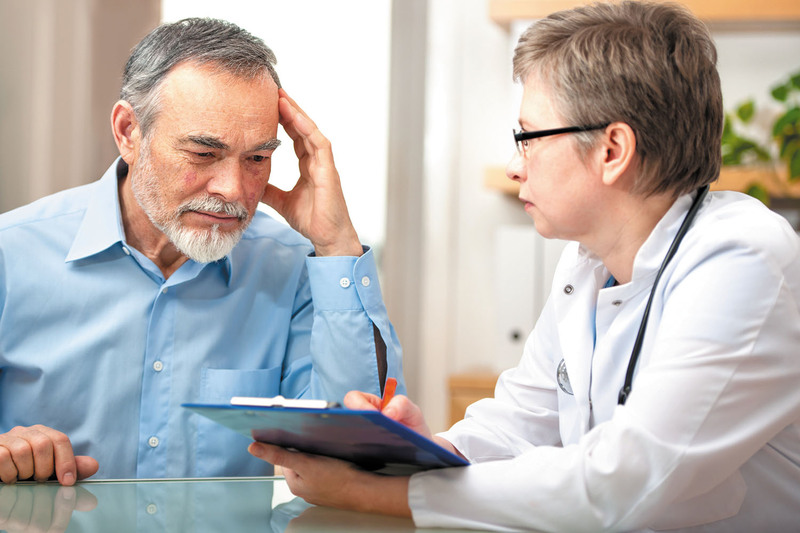 "Most of these side effects are the result of emotional distress responses," explains Dr. Maureen Malin, a geriatric psychiatrist with Harvard-affiliated McLean Hospital. Whether you're grieving the loss of a loved one, a job, a home, or a beloved pet, it's important to understand how the process puts your health in jeopardy. Grieving takes a toll on the body in the form of stress. "That affects the whole body and all organ systems, and especially the immune system," Dr. Malin says. Evidence suggests that immune cell function falls and inflammatory responses rise in people who are grieving. That may be why people often get sick more often and use more health care resources during this period. But why is stress so hard on us? It's because the body unleashes a flood of stress hormones that can worsen many existing conditions (such as heart failure or diabetes) or lead to new ones (such as high blood pressure or heartburn). Stress can also cause insomnia and changes in appetite. Extreme stress, the kind experienced after the loss of a loved one, is associated with changes in heart muscle cells or coronary blood vessels (or both) that prevent the left ventricle from contracting effectively — a condition called stress-induced cardiomyopathy or broken-heart syndrome. The symptoms are similar to those of a heart attack: chest pain and shortness of breath. Depression symptoms include extreme hopelessness, insomnia, loss of appetite, suicidal thoughts, persistent feelings of worthlessness, and marked mental and physical sluggishness. Dr. Malin says people who are depressed often isolate themselves and withdraw from social connections, and they often stop taking care of themselves properly. "You're not as interested in life. You fall down on the job, miss doctor appointments, stop exercising, stop eating properly. All of these things put your health at risk," she explains. Some people may feel they need tools or guidance to navigate a period of grief. Two approaches can help. See a grief counselor. This is a specialist who is trained to help you make sense of your feelings of loss. Grief counselors help people to understand that there are many ways to express and come to terms with grief. They are particularly attuned to common reactions to grief, whether these reactions are physical, emotional, or cognitive. Join a grief support group. Such groups are typically led by a counselor who encourages members to share their feelings and experiences. Being with others, expressing yourself, realizing that you're not the only one going through a particular experience, and learning from others can be especially helpful. It may seem impossible to think about maintaining good health when it's difficult to simply get through each day. But Dr. Malin says it's okay to just go through the motions at first ("fake it till you make it"). That may mean walking for five minutes every day, and then gradually increasing the amount of time you walk. And even if you don't feel like eating, go ahead and eat three healthy meals per day anyway. Your body needs calories to function, even if you're not hungry. Eating too little may add to fatigue. And don't forget about social connections, which are crucial to good health. Stay in touch with friends and loved ones. Try to get out of your house and spend time with others, even if it's to talk about your grief. A good way to stay on top of your health when you're grieving: "See your doctor, especially if symptoms worsen, and get back to a healthy routine as soon as possible," Dr. Malin suggests. That way, you can just follow your doctor's directions, putting one foot in front of the other until you develop your own routine. In time — and there is no standard period of grief that applies to everyone — the sun will come out again, and you'll feel a little stronger each day. But you'll need a foundation of good health in order to get there. Give yourself that advantage. Your loved ones would want that for you.